Fixed annuity and indexed annuity reinsurance is a market where Ruark Insurance Advisors has significant experience, along with variable annuities and life insurance. This article reviews the basic parameters that a direct writer should understand in order to evaluate the applicability of fixed and indexed annuity reinsurance to their situation. Annuity reinsurance is a tool to manage required capital, surplus strain and a company’s balance between asset risks and insurance risks. Limiting sales volumes can achieve similar results but may conflict with strategic needs to maintain or grow sales volumes and to enhance relationships with distributors. Quota share reinsurance of all inherent risks is the most common structure. This is a permanent transaction where the reinsurer would be on the risk for their share of asset performance, disintermediation, expense and persistency; and would receive their share of the evolving profits. Business covered can be an inforce block, new business flow or a combination. Most of the reinsurers active in the fixed and indexed annuity market consider investment management to be one of their core strengths, so the direct writer must be willing to include the reinsurer in asset management. Assets can either stay on direct writer’s books with an agreement on who will manage them, or assets can be transferred to the reinsurer. If assets are transferred to the reinsurer, Ruark Insurance Advisors recommends that a trust be established for the benefit of the direct writer. The requirements of such a trust should go beyond the regulatory trust requirements for receiving reserve credit, and should be geared towards the likelihood of the assets in the trust being sufficient to satisfy the reinsured liability. Fixed and indexed annuity reinsurance programs are time consuming to negotiate. Prior to considering reinsurance, maintaining and maximizing profits on annuity business consumes significant senior management time. The direct writer and a reinsurer must develop an understanding of how this management protocol will be shared. Negotiation of a reinsurance program should be expected to take a minimum of six months, and sometimes considerably longer. Fixed and indexed annuity reinsurers are not typically the normal North American life mortality reinsurance players. 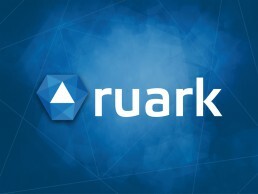 Ruark Insurance Advisors can help a direct writer identify appropriate reinsurers. Treaty terms and structures vary, with heavy reliance on negotiations specific to the facts and circumstances of each direct writer’s situation. Ruark Insurance Advisors has the experience to guide our clients through these discussions.